"Is there anything else you want us to have that we didn’t have today?" This is a question that Fresh Truck co-founder and executive director Josh Trautwein asks every customer. All afternoon he talks food with patrons. They discuss everything from the trials and tribulations of garlic breath (solution: make sure your significant other shares your love for garlic) to soup served with avocados. He weighs in on how to cook collard greens (with fatty bacon) and the cultural difference between "gravy" and "sauce" (if you don’t know this one, ask anyone of Italian descent). Trautwein knows his customers' names, who needs help with their bags and who wants mangos. A converted school bus painted with multicolored silhouettes of tomatoes, corn, bananas and onions — the "truck" is stripped of its seats and outfitted with bins of bounty, holding thirty to forty varieties of produce, breads, whole grains, nuts and healthy snacks. 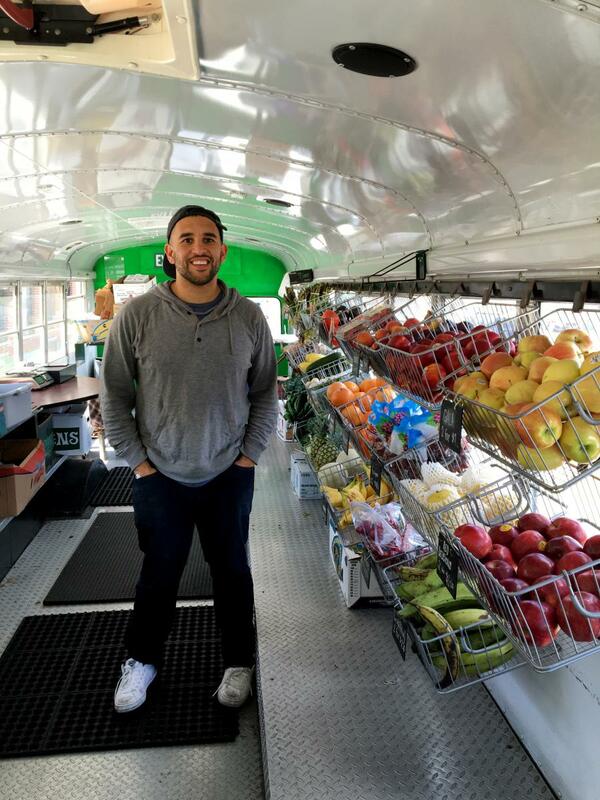 Fresh Truck mainly visits neighborhoods with limited access to fresh fruit and vegetables — currently Mattapan, Charlestown, East Boston, Dorchester, the South End and Northeastern University. In 2015, Fresh Truck expanded to two busses with over twenty-five operating hours a week. 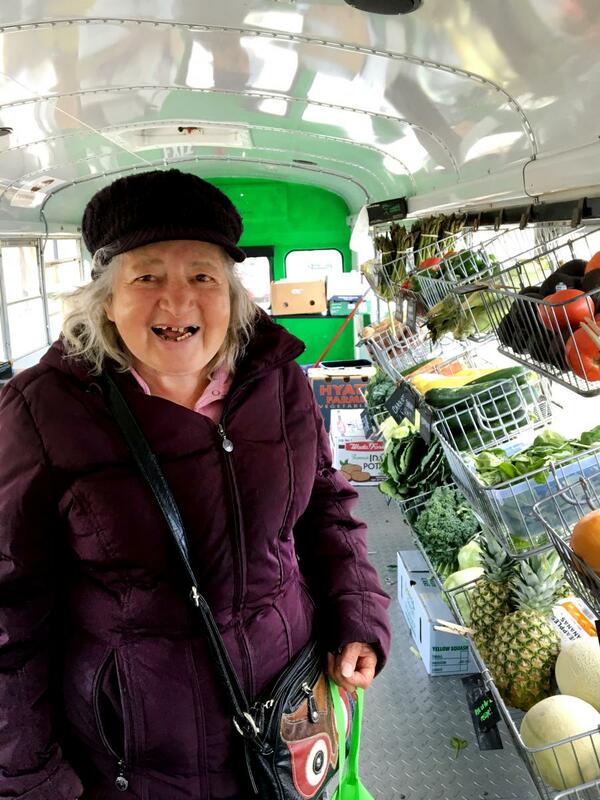 Trautwein’s favorite customer, Carmen, used to travel from her East Boston neighborhood to the Prudential center for groceries. Since the truck’s launch in 2013, she and others in the neighborhood can step out of their doors on Sundays and get what they need. How did Fresh Truck come to be? In 2011, Trautwein was working as a health educator with low-income single mothers, but they didn’t have access to the food they needed to follow the recommendations. "So there’s this gap in community health where a lot of health centers are telling them to eat healthy and they’re educating them, but it’s hard to solve for the fact that there’s no grocery store in some neighborhoods. That’s where we came in," Trautwein explains. 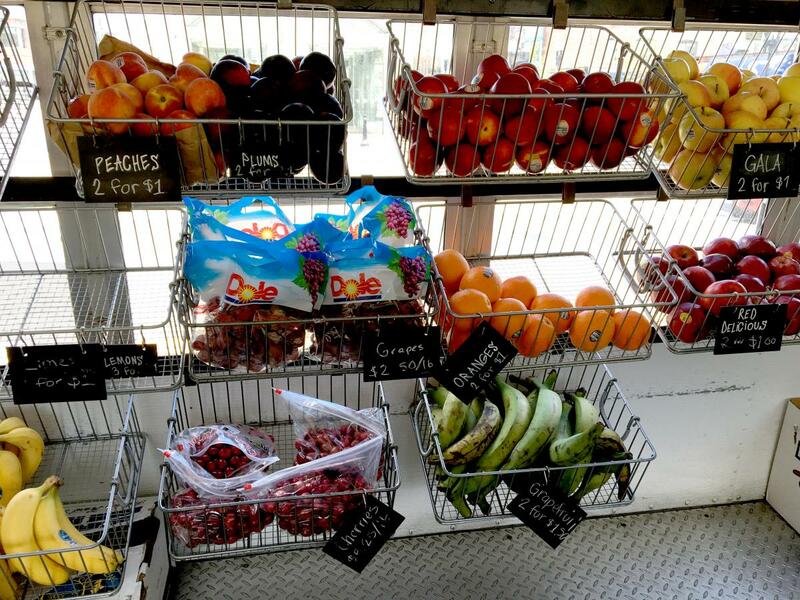 Boston isn’t alone in the mobile grocery trend. Traveling food markets have been showing up in cities across the states and abroad including Washington, D.C., Indianapolis, Chicago and Toronto. It’s a more viable business option than a brick and mortar store, in part because the mobile markets can serve many communities throughout the week, and the lower overhead can also make the food more affordable. The Fresh Truck’s prices, such as $.75 for tomatoes, $2 kale, $1 lettuce and two oranges for $1, are hard to beat. In addition to the mobile food markets, Fresh Truck also participates in many local pop-up events. "Those are focused on building up health-centered food cultures and getting communities to celebrate food and healthy eating, so the programming ranges from cooking demos and nutrition education workshops to actual one day pop-up food markets," Trautwein says. Sometimes the truck simply passes out apples and bananas for kids to snack on at sporting events (move over peanuts and Cracker Jacks, we’ll be singing about fruit at the next ball game). They also partner with Brigham and Women’s Hospital to provide 25 bags of groceries on Fridays to children at risk of not being able to eat over the weekend. What’s the next stop for Fresh Truck? Trautwein wants to work with other community health organizations around Boston. He also plans to develop the capacity for refrigeration in order to carry perishables. Until then, the busses will keep rolling around neighborhoods, providing avocados, kale, good laughs and community connection.